Neither fascism nor republican loyalism? Since more then 30 years, France has known a public debate about the question weather or not the country has been affected, before, during and even after the Second World War, by the Europe-wide phenomenon of fascism. Unpleasant and disturbing for many French, fascinating for foreigners, and sometimes inspired by a vengeful ulterior motive, the debate focussed in particular on the Croix-de-Feu movement of the 1930s and its successor organization, the Parti Social Français (P.S.F. ), led by Colonel François de La Rocque. It has become the key element for the definition of fascism – yet without coming to any useful result. In 2007 French historian Serge Berstein, in a short article in the review Vingtième Siècle, came to the conclusion that the debate on the existence of a French fascism had reached a deadlock. He commented on a polemic exchange in previous issues of the same review, started in 2006 by his colleague Michel Winock who had felt himself coerced to denounce and harshly criticize the authors of two publications contributing to the debate. 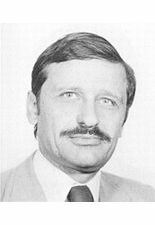 One of them, French sociologist Michel Dobry, had published in 2004 a collective volume, gathering contributions by several other historians, French and non-French, on “Le mythe de l’allérgie française au fascisme”, while American historian Robert Soucy had in the same year presented a French translation of a book that had appeared already 9 years before, 1995, “French Fascism: the Second Wave, 1933-39”, and which represented the second volume of an inquiry into the existence of a French variant of fascism in the 1920s and 30s. The title of the French version, though, had been slightly modified and now read “Fascisme français? 1933-39, mouvements antidémocratiques”, suggesting some doubts about the very existence of a French fascism, while the original English title had shown much more determination to take the phenomenon itself for granted before even starting the inquiry about it. Nonetheless both volumes had clearly outlined and defended the thesis that France, like Italy, Germany and many other countries between the two World Wars, had to deal with the appearance, growth and challenge to the established liberal democratic order by movements all representing variants of the same basic phenomenon – fascism. Winock’s reaction however showed certain bewilderment about the fact that the two authors, Dobry and Soucy, had dared to warm up once more an intellectual debate “…que l’on croyait depuis longtemps digerée.” More then that, Winock felt personally offended by Dobry who had named him together with other French historians, amongst them Berstein, as representatives of a “thèse immunitaire”, in other words the assumption that France, for a number of reasons inherent in its traditional socio-political framework and deriving from its particular international situation, was immune against fascism. This thesis indeed had been since the 1950’s the main argument of a school of historians, Berstein and Winock amongst them, all disciples of René Rémond, often characterized as the doyen of contemporary French historical science. France, according to Rémond, had known an influential current of conservatism, deriving from its various monarchist traditions, but becoming a conservative element of support for the republican state since their conversion to it in the late 19th century. As the existence of this strong conservatism prevented fascism by its very nature, the rise of a significant fascism was not possible. All subsequent appearances of new right-wing forces, including the Vichy regime, had to fit in this scheme of interpretation; they were at best expressions of an extreme nationalist conservatism, part of “la France éternelle”, but not of fascism. During the IVth Republic and the Gaullist period this interpretation allowed national reconciliation in times of economic reconstruction, difficult decolonization wars and the reestablishment of “grandeur” in a uniting Europe. There was a general consensus to consider Vichy collaboration as a kind of “resistance by other means”, and to historicize the episode under these terms. 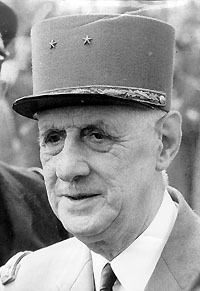 Two publications however had disturbed this Gaullist consensus; Robert Paxton’s “La France de Vichy” in 1973 put in question the prevailing view that Maréchal Pétain’s wartime regime and its policy of collaboration had been a “double-game”, an attempt to protect defeated France from a too harsh treatment by the German occupiers. 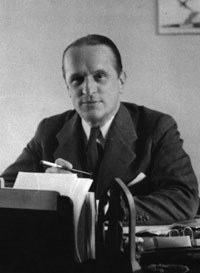 Vichy, wrote Paxton, had collaborated actively and without German pressure, becoming willingly part of the Nazi genocide machinery and trying to substitute the democratic order with a nationalist authoritarian regime. Ten years later Zeev Sternhell joined the track, publishing with “Ni droite, ni gauche” an inquiry into the origins of fascism, which found right in France’s late 19th century the intellectual foundations of a fascist ideology with a strong left-wing revolutionary element in it. It was the perfect antithesis to Rémond’s immunity thesis. The problem touched a sensible point in the perception of French national identity; fascism and all its dreadful outcomes was identified, besides Italy where the term had been coined, most of all with Germany, France’s historical counterpart. If the German “special path” led inevitably towards fascism and its final catastrophe, a thesis represented among others by Hans Ulrich Wehler, the French “normal path” was consequently antifascist in its very nature. If ever it were proved that France had a major fascist problem, this would have meant an earthquake for French national identity; the country would have sunken to the same morally abyssal level of the Germans; just a graduation of radicalization in evilness would have been left to differ between the two countries – and the fact that in one country fascism took power from within, while in the other one it could install itself only due to previous military defeat. It would even have affected German historiography, giving a blow to the “special path” thesis and favouring its critiques like Ernst Nolte. Paxton however had shown that the broad consensus for the institution, shape and the collaborationist nature of Maréchal Pétain’s regime had its origins well within France itself. 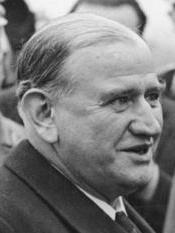 Before Vichy though, the radical right-wing leagues with a more or less evident fascist character had been rather marginal – with one exception: the pioneer research of Philippe Mâchefer in the 1970’s had shown that the Croix-de-Feu, and even more its successor organisation, the Parti Social Français (P.S.F.) had gathered at the end of the 1930’s the largest party membership ever seen in France: 1.200.000, according to the most credible sources, three times more then Communists and Socialists together. If this extraordinary mass had willingly followed a fascist leader and organization, then France had its major fascist problem. If Vichy was collaborationist and even fascist (Paxton did not use the term though) it was nevertheless in the very end a product of military defeat and foreign occupation, bringing to the fore men and forces that otherwise would have remained in the shade; if the Croix-de-Feu/P.S.F. were fascist, fascism concerned an organization born on genuinely French traditions and involving a considerable mass of Frenchmen, whose core were the glorious veterans of the First World War; the Great War, so important for French national mythology, would have transformed into the cradle of French fascism, a traumatic idea, whose main defender was Robert Soucy and in the last stance also Sternhell. Research on the Croix-de-Feu/P.S.F. intensified since the late 1980’s, but it was only in 1996 that Jacques Nobécourt presented the voluminous result of almost 20 years of archive research, including first access to the private papers of François de La Rocque. Nobécourt demonstrated in all detail that La Rocque’s policy had been one of “christian nationalism”, not of fascism. For Rémond and his disciples this was the confirmation of their thesis of French immunity against fascism, and the ideal closing point of the debate. All had been said and proved. Not so for Soucy and Dobry, as we have seen. But why did Soucy retain to launch a late translation of his 1995 book if in the meantime it had been overrun by Nobécourt’s findings? No doubt that Soucy did not at all agree with Nobécourt and, consequently did not see it as a final assessment of the debate; his interpretation of many of the sources used by Nobécourt (and approved by Winock) in support of La Rocque’s “innocence” was simply different, proving instead his fascist leanings, or Soucy relied on other passages, sometimes of the same documents, which for him showed the Croix-de-Feu/P.S.F.’s fascism. Already Sternhell some years before had read Nobécourt in this way, and found that only his close definition of fascism as “nationalisme fondé sur le racisme biologique…” could exclude the Croix-de-Feu/P.S.F. from the orbit of fascism. If in the case of Soucy and Winock communication had become sterile and the senselessness of further exchange evident, Dobry’s initiative instead represented a new element in that it put in question the methodological approach of Berstein, Winock and the defenders of the immunity thesis. Their approach was based on the rigid classifications of political categories, while Dobry proposed a more fluid and dynamic relational analysis of the phenomenon of fascism, taking into account shifting surroundings, influences and perceptions in a historical context. The rather polemic way in which he presented this approach caused its complete rejection by Winock and Berstein , and only a comment by Christophe Prochasson “saved” the essential utility of Dobry’s approach in order to overcome the deadlock in the research on French fascism and in particular the Croix-de-Feu/P.S.F. Soucy’s definition of fascism, taking into account developments of political conjuncture as determining the rise or decrease of fascist adherence, was in principle not far from Dobry’s approach: in times of left-wing governments, some conservatives could turn fascist, just to re-become conservatives if the government changed towards the centre-right. For many historians though, even supporters, this was not sufficiently scientific, driven by a hysteric will to present fitting solutions (Irvin Wall ironized about Soucy’s method: „If it looks like a duck, walks and quacks like a duck, it must be a duck!”), and too limited in its ideological composition (only conservatism was susceptible to turn into fascism; the revolutionary, left-wing element in fascism was totally ignored). Besides that, impreciseness in wording, quoting and reference gave his works a taste of methodological superficiality. In spite of Soucy’s lack of scientific depth and Dobry’s polemic overkill, the deadlock diagnosed by Berstein soon revealed inconsistent and Prochasson’s critique of his and Winock’s presumption to represent a final assessment of La Rocque and his movement soon found fertile ground: still in 2007, Sean Kennedy issued “Reconciling France against Democracy”, a new archive-based research on La Rocque and the Croix-de-Feu/P.S.F., the first after Nobécourt, which put a sober analysis of the available sources at the centre. Kennedy’s strategy was new, in that he bypassed the spiny question of fascism in establishing at its flank authoritarian nationalism as an independent category within the anti-democratic area of the extreme right, by no means to be considered less radical then fascism, just different. 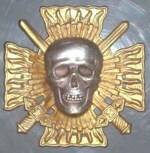 “Arguing that the Croix de Feu is better understood as authoritarian than as fascist…”, wrote Kennedy, “…should not be equated with implying that it was somehow moderate.” The league was expression of the same Europe-wide anti-democratic and anti-parliamentarian modernist movement rising since the late 19th century that had brought to power Nazism in Germany and fascism in Italy. For Samuel Kalman, who in 2008 published an attempt to compare the Croix-de-Feu/P.S.F. with Georges Valois’ Faisceau league of the 1920’s, the question of fascism was evident in the case of the Faisceau, controversial in the case of the Croix-de-Feu/P.S.F., but most of all a useless criterion for the real interest these movements represented for a result-oriented assessment: would a hypothetical success of these movements have meant a fundamental change in the socio-economic, cultural and political order of Third Republic France? Dobry’s question resounded if the indefinable category or concept of fascism still had any utility for cognition. Indeed, trying to define what fascism is and what not, generations of scholars have failed and continue failing. Kalman’s approach was new in that it took into account a natural evolution of society and therefore a mutation in nature of the Third Republic itself. French society as a whole since the 1920’s was pervaded by modernity, productive improvements in industry demanding the creation of a healthier population (out of which the way was short towards ideas of shaping a “new man”); measures to oppose the negative demography, the “moral decadence” of feminism and the loss of centrality of the family were also seen among Communists and Socialists; anti-Semitism became a widespread phenomenon, dissatisfaction with the central role of parliament grew, generating institutional reform plans with authoritarian tendencies even within the Radical Party (Young Turks). An attempted coud d’état by the extreme right-wing leagues? The leagues developed within this shifting context between adaptation, reaction and avant-gardism, leading straight towards Vichy, which, despite its contradictory position due to the wartime context, represented a natural adjustment of the institutional order to preceding socio-cultural evolutions. Since then no further development of the Croix-de-Feu debate has appeared. I ignore at this point if new publications in response to Kennedy and Kalman are in preparation. When I first came in contact with the movement of Colonel de La Rocque, for my graduation thesis in 1996/97 at Heidelberg University, the study of La Rocque’s writings like Service Public and the movement’s periodicals, in the first place Le Flambeau and Le Petit Journal, in a first moment led me to some confusion: the object of study was mainly in opposition to the Third Republic’s governments since 1932, but if it just wanted to act as an extra-parliamentary pressure group in order to bring back to government men like André Tardieu, with some constitutional changes in order to strengthen the government’s authority, but without abolishing electoral democracy, or if a complete substitution of the Third Republic with an authoritarian dictatorship was planned, remained totally unclear; in a generally foggy articulation style, I found evidence for both hypothesis. The same outcome regarded every other aspect taken into analysis: violence (Kevin Passmore questioned if it was, as previously described by Rémond, just “boy-scouting for grown-ups” ), anti-Semitism (unanimous only the total rejection of biological racism), economic order, the social role of women; there seems to be a perfect balance between assertions seemingly close to recognized fascist models, like Germany and Italy, and assertions seemingly compatible with a traditionalist conservative position rallied to the democratic setup of the Republic. The question came up if this ideological incoherence was to be seen as the revelation of an absence of any clear programmatic idea and the substantial inconsistency of the movement and its chef, a prove for a continuous change of positions or rather the result of a well reflected strategy. At the times of my thesis I had to leave the question open, limiting myself to present the various answer options; the fresh publication of Nobécourt’s impressive pro-La Rocque bulwark just during my studies doubtlessly influenced the outcome of my inquiry, though I was not totally convinced by his conclusions, which often seemed too much a pamphlet to me. Today I would plead for the last option: there was an evident strategy in keeping the Croix-de-Feu/P.S.F. program as vague as possible, though being convinced, in agreement with Kalman, that political publicity is not always so straight-forwardly corresponding to well established plans, but often the result of conflicting interests and hazards about who manages to publish what in the name of the organization. But it seems that La Rocque spread diverging information on purpose. Richard Millman has shown La Rocque’s strategy to give diverging, sometimes contrasting speeches on the topic of anti-Semitism according to the taste of the audience he was addressing. His over time radicalization in merit, said Millmann, was an adaptation to the rising general anti-Semitism in French society in the late 1930’s, and in particular those social layers the P.S.F. based its support on; according to this interpretation a more radical anti-Semitism became a necessity for La Rocque in order to maintain his popularity. This is in my view the decisive element if one wants to understand the nature of the Croix-de-Feu/P.S.F. : its spectacular success was based on a middle-way that made it at the same time the most moderate among the forces of the extreme right and the most extreme among the forces of the moderate right. It distanced from the other extreme right-wing leagues by its renouncement on violence (since 6 February 1934) and attempts to cooperate with moderate parliamentarian right-wing groups, such as the Fédération Républicaine. Once conscious about its outstanding popular attractiveness, latest by early 1935, it claimed independence and hegemony on the right, refusing all attempts to fuse into large organizations of the extreme right (especially the Front de la Liberté, launched in 1937 by Doriot). On the other hand, when the league transformed into the P.S.F. in 1936, it became a force competing in electoral politics, but still remained extremist in nature; it profited from the polarization created by the Front Populaire experience, and figured as main opponent of the Front Populaire. It was a kind of direct counterpart of the Communist Party. Like the P.C.F. was the most extreme element of the Popular Front with a doubtful loyalty to the democratic order, the P.S.F. aspired to make a successive right-wing government – after the elections of 1940 - depend on its votes (which it hoped to increase sensibly). In such a position of hegemony in two political areas at the same time the P.S.F. would have been able to exercise double control: on the extreme right where forces of closer contiguousness to the German national-socialist model (like the P.P.F.) were dominating the scene, and to the moderate right, where a center-right government would have to accept P.S.F. proposals for constitutional reform in an authoritarian sense (a matter of discussion to what degree this would have resembled the later Gaullist model). 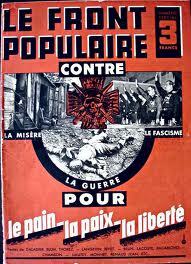 The premature end of the Front Populaire in 1938 meant the crisis of this double control design by the P.S.F. As has been well described by Kennedy, the period 1938/39, with a Daladier government adopting authoritarian and socially conservative measures, the Radical Party took over the position mired by the P.S.F. : the radicals were able to control the socialist and communist left, now in a paralyzed opposition, and at the same time its moderate right-wing partners in government. The only role left for a P.S.F. deprived of its strategic advantage was the one as main challenger for the upcoming 1940 elections. Their postponement to 1942 decided by Daladier even before the outbreak of war was clearly directed against the P.S.F. and a measure in order to assure a key position to the Radicals. What really counts in the Croix-de-Feu/P.S.F. event is the fact that the league/party was probably the driving force – though a mainly passive actor – of the French political scene between 1934 and 1939, an element that caused the national union government of Paul Doumergue, the creation and victory of the Front Populaire as well as the authoritarian turn of the Daladier government, and also the lack of incisiveness by the other extreme right-wing movements. Discussing about labels like anti-system fascism or republican ultra-nationalist conservatism is a sterile debate and does not help in giving due weigh to this particular position individuated by La Rocque for a political project of extraordinary success. Kennedy’s authoritarian nationalism as an alternative to fascism within the field of the extreme right comes close to a comprehensible characterization, but is still an attempt to find a category within current ideological terms. There is still the fruitless temptation to define the movement in comparative perspective, trying to find out if it could be considered closer to Italian fascism or closer to reactionary French traditions, without any clear idea what the one or the other really stand for. In my view the Croix-de-Feu/P.S.F. were unique. The only ideological label they deserve is “laroquism”. What laroquism had in common with other national models is the fact that it was the genuinely French variant of a Europe wide reaction against a too pluralist and parliamentarian model of democracy. The French republican consensus was not immune against a transformation of the system according to La Rocque’s ideas; the French have historically never been shy to overthrow political systems and an impulse given by La Rocque’s mass based movement would have caused a general revision of the political system in an authoritarian sense. Once put in motion, the final outcome of a revisionist or revolutionary process is difficult to imagine; the various currents moving in La Rocque’s shadow inside the P.S.F., well put in evidence by Kalman, but also former antagonists from outside the party would have concurred to take the lead of it and if La Rocque, a formidable leader in opposition, would have been able to maintain his influence also in power has to be questioned. 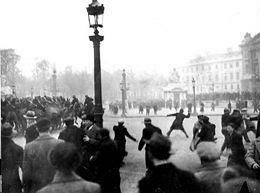 The success of laroquism until 1939 has to be explained for a large part as a result of the French-German rivalry. The rise of Nazism in Germany doubtlessly contributed in reaction to a late conservation of the Third Republic, but at the same time demanded the strengthening of its anti-German defensive nationalism and measures to increase governmental stability and authority. An extra-parliamentarian, nationalist force proposing a veritable counter-society within genuinely French traditions (the Croix-de-Feu/P.S.F.’s sub-organizations and social activities) and claiming the France of 1917/18 – united and fiercely opposing Germany in war – as a model to be recreated and institutionalized in peace was most likely to find broad popular support. Laroquism was the art of recognizing all variables of a politically, socially and culturally shifting context in the mid-1930’s and individuating a new popular desire of the middle-classes not answered by any existing political force, an independent kind of opportunism able to adapt itself to ever changing situations by appealing to a myth placed above all political doctrines. Laroquist strategy distinguished itself from other ideologies by a calm believe in a set of mythical ideas, a bit like a religion that finds an infinity of different cults to express faith but over centuries withstands to all contiguous crises and temptations. The Croix-de-Feu myth and ideas was a long term project above the ambitions of individuals – La Rocque included himself – that didn’t call for immediate action if success was not absolutely sure, but would become reality by the natural development of things – an almost positivist attitude. In these considerations I have not included the war period since September 1939, which radically changed all patterns and confused the political setup of the late 1930’s. Some authors like Sternhell and Kalman see the Croix-de-Feu ideas at work in the Vichy-regime, but without the P.S.F. and La Rocque directly involved, even rather excluded and marginalized. Some of La Rocque’s followers took actively part in the regime, others joined the resistance; many shifted from one side to the other over the years; the chef himself is seen in a highly ambiguous position supporting the regime and engaging in resistance activities at the same time. All developments after 1940, still an open field of research, in any case contribute very little to a just evaluation of the nature of the Croix-de-Feu/P.S.F. with regard to the Third Republic; what I have tried to outline here is on the one hand the necessity to continue research about the phenomenon hoping to find new revealing documents, and on the other the useful direction these new attempts have already known after the deadlock of the Winock-Soucy debate. Except the introduction of the term “laroquism”, I found my precedent studies, when I started to reconsider them few time ago, much in line with the orientation given by Kennedy and Kalman. What is missing though are not further global considerations on the ideological position, but new detailed studies on specific aspects of the Croix-de-Feu/P.S.F. history. If this is done – by French and non-French historians alike – in about 10 or 15 years it might be possible to assess with much more soberness the place occupied by the movement in French and European history. Of course, no-one should ever pretend to close the debate, but by then the generational distance to the events might contribute to more pragmatism in research interpretation without diminishing the necessary teachings these events need to exercise on our times, characterized by a new popularity for exclusionist policies in whole Europe, with France everything but immune to it.